I cannot say enough wonderful things about working with Moore Architects, PC. Charlie Moore and his team are knowledgeable, organized and extremely talented. I have had the pleasure of working with Moore Architects on a large renovation to our home and later, a new custom home. Their level of professionalism and proficiency was impressive and they have an incredible ability to nurture client communications while responding to our ideas and inspirations in creative ways we never thought possible. 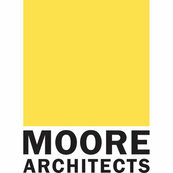 I would strongly encourage anyone with the need for an addition, renovation or new home to give Moore Architects a call.